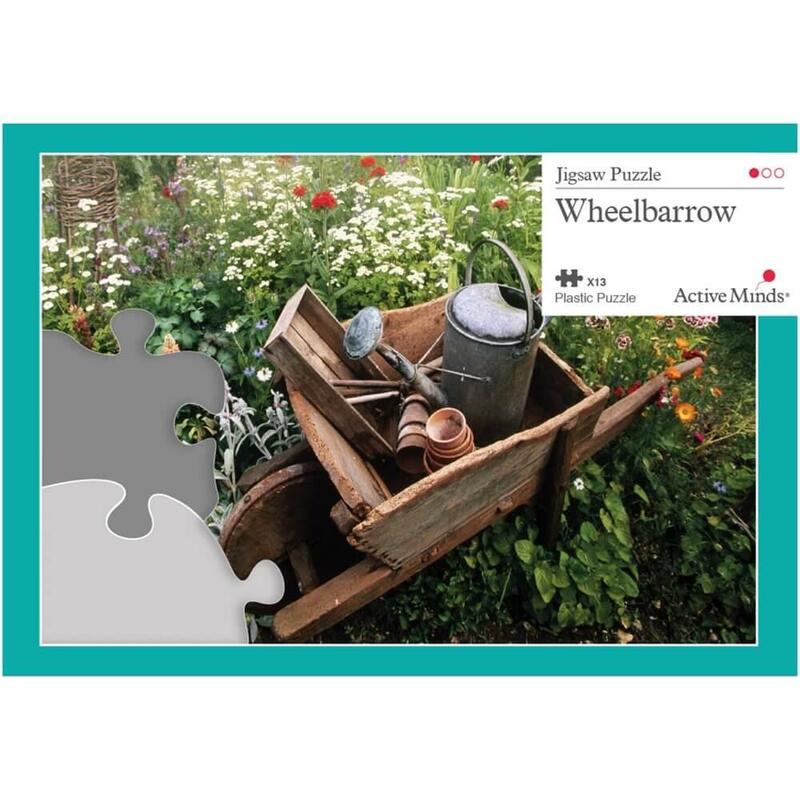 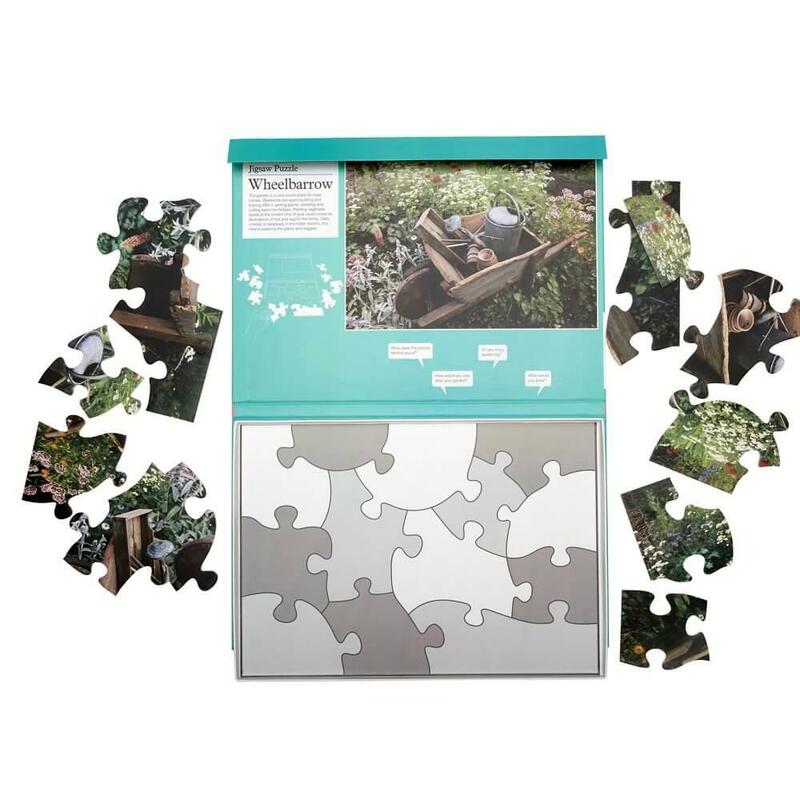 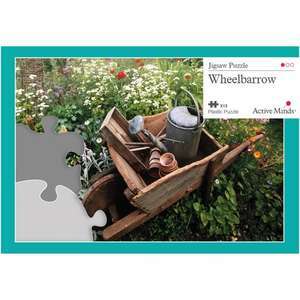 Our 13 Piece Jigsaw Puzzle - Wheelbarrow is more than just a jigsaw puzzle, it's an effective way of engaging people in conversation and stimulating the mind. 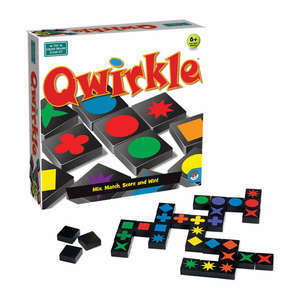 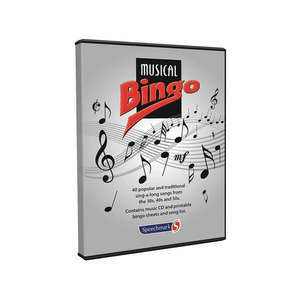 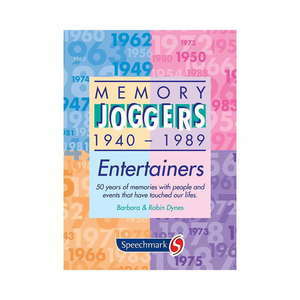 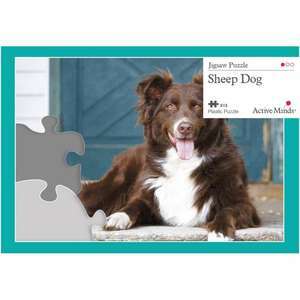 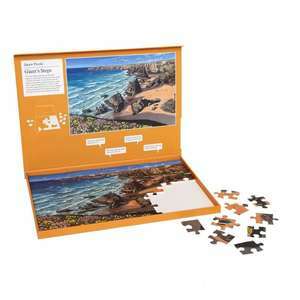 Our 13 Piece Puzzles have been one of our best-selling dementia puzzles for many years, a simple twist on the classic jigsaw. 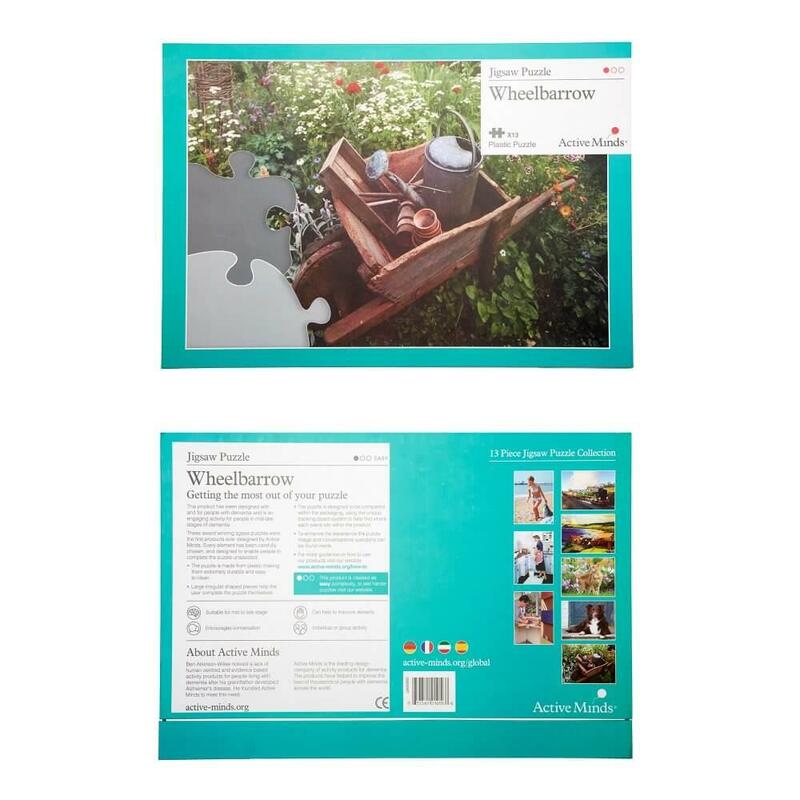 Make your garden grow. Anyone can benefit from spending time in the garden. Focusing on the task at hand, whether it be potting plants, weeding or cutting back the hedges, can help you de-stress and give yourself a little ‘me time’. 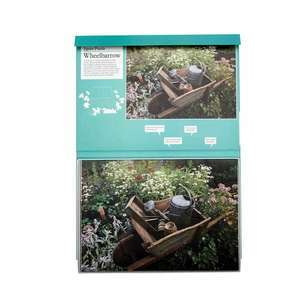 Completing the job and watching the flowers bloom or a selection of fruit and veg growing, gives a huge sense of pride and satisfaction. 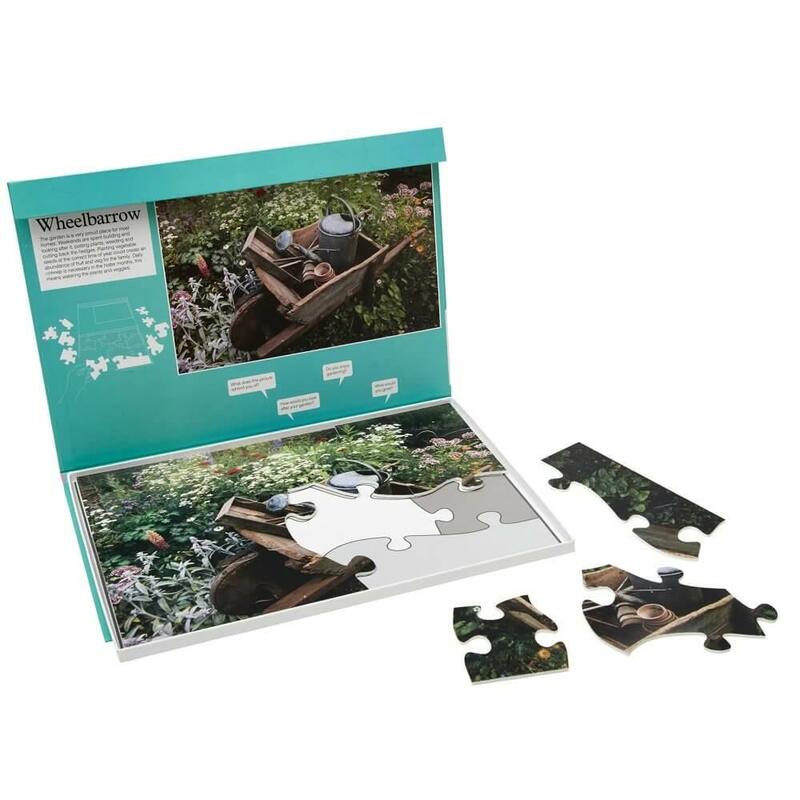 With thirteen pieces, this puzzle is the easiest in our range, suitable for people in the mid-late point of their dementia journey. 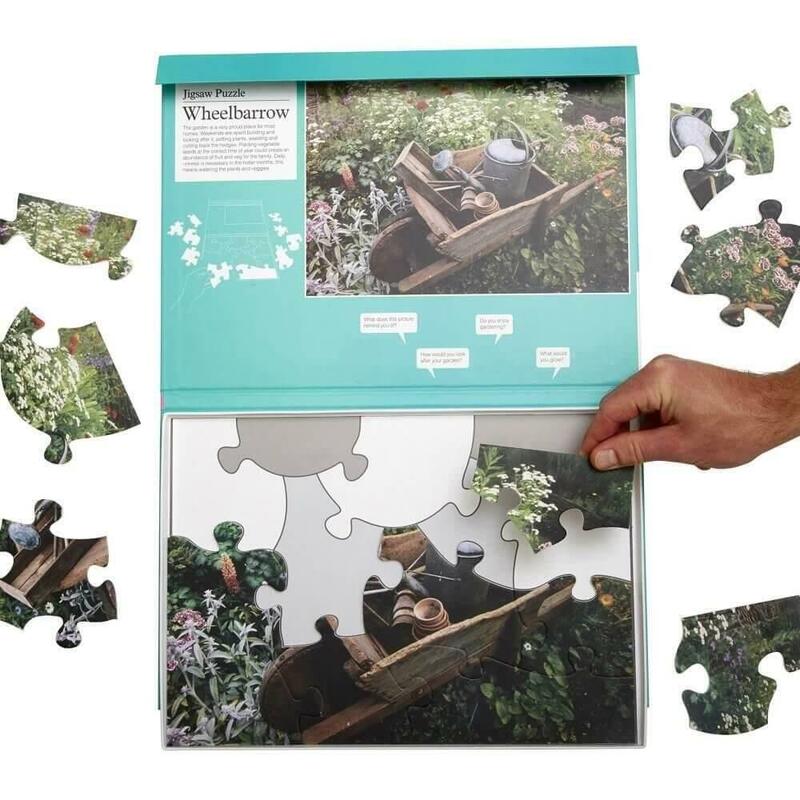 Each puzzle consists of thirteen pieces that can be assembled within the frame and on a specially printed backing board that is designed to assist and encourage the individual to complete the puzzle themselves.